The ŠKODA Superb. Executive driving comfort, luxury and performance. All words that go some way towards explaining this sensational car. Easily competing with more luxury brand vehicles in terms of style and equipment, and yet beating those brands in both price and awards, with the sedan having been named 2016 Best Compact Executive in its class, and the wagon being named Best Estate Car of 2017 in the What Car? awards. Also recently named as a World Car of the Year finalist and with one reviewer labelling the Superb ‘Probably the Best Car in the World‘. Motoring experts are trying to tell car buyers one thing: don’t look past the new ŠKODA Superb. An ideal family or fleet vehicle. Superb Best Estate Car 2017 - What Car? 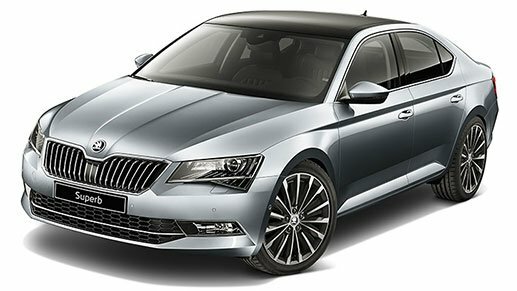 The front view of the ŠKODA Superb is characterised by a wide radiator grille and centrally positioned logo, a dynamically contoured bonnet, and razor-sharp wide headlights and front fog lights. The rear of the Superb has wider LED rear lights and a clear and articulate layout. More width, more presence, more clarity. Travel is more than about simply getting from point A to point B. 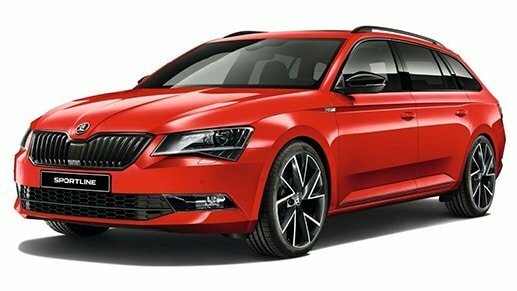 This was at the forefront of the minds of ŠKODA’s designers and developers in their approach to the new Superb. The aim was to create a car that would give you a full-on travel experience engaging all your senses. The perfect interior soundproofing works hand-in-hand with Dynamic Chassis Control (optional) and numerous assist systems to guarantee absolute comfort and convenience every time you use the car. Multi-function camera (located in the rear view mirror and allows function of various safety systems including Lane Assist and Traffic Sign Recognition. The Superb has been awarded with the maximum Euro NCAP 5-star rating, confirming its outstanding safety. The new Superb is equipped with up to nine airbags, along with a whole range of new assistance systems previously the domain of higher vehicle classes is available for your enhanced safety. 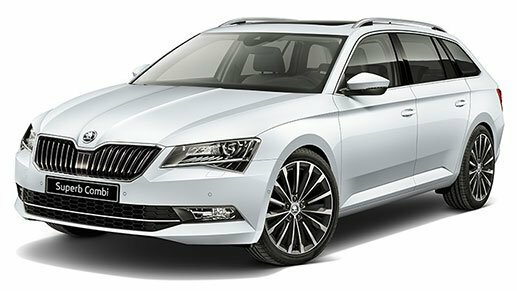 The new ŠKODA Superb is fitted with Electronic Stability Control (ESC), including a Multi-Collision Brake as standard. Note that some safety features may not be available with all Superb models. Please confirm with our team. 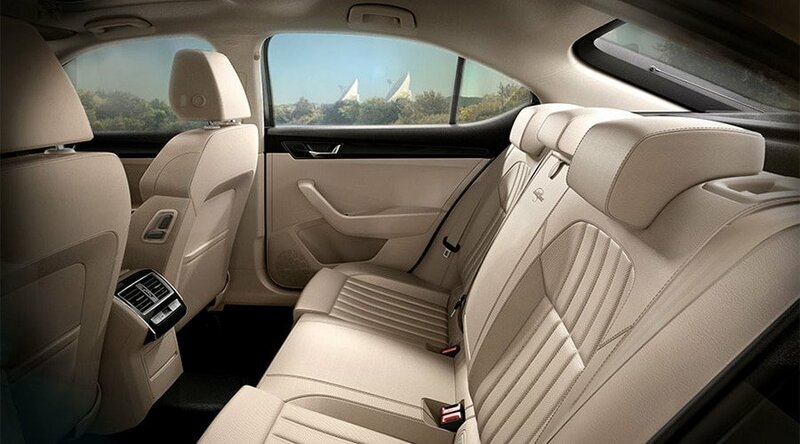 The new ŠKODA Superb is a big car, and when we say that we do not necessarily mean its interior or exterior dimensions. What makes it all the bigger is the fact that the engineers have managed to integrate numerous stowage spaces and practical storage compartments into the interior. 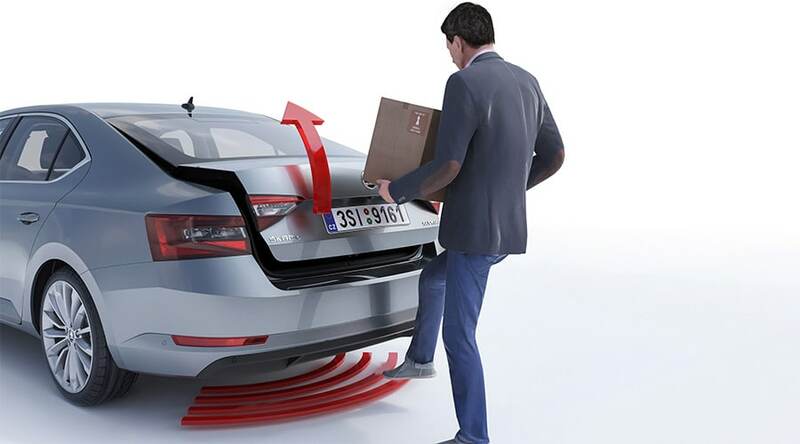 The features you may need at any one moment have been distributed around the car entirely intuitively and with maximum consideration for ergonomics. If you want to see for yourselves, climb aboard and discover what solutions await you.